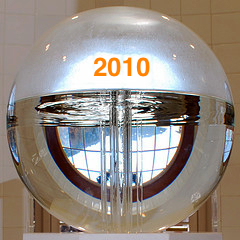 It’s Day Two of the Top Sales Predictions for 2010. Today, Jonathan Farrington, a British bloke yet all-around collaborative and intelligent chap who happens to be the CEO of Top Sales Associates and Chairman of The Sales Corporation – based in London and Paris. Jonathan’s personal site The JF Consultancy, offers a superb range of unique and innovative sales solutions and you can also catch his daily blog at The JF Blogit . What is the New Year is going to bring for our sales leaders? One of the very few things to come out the deepest recession in living memory was that sales leaders in most industries, faced with decimated training budgets, were forced to roll up their sleeves and coach their teams themselves. They no longer had the option to abdicate sales team development to external providers – and do you know what? Many of them actually enjoyed it – in fact they discovered they were pretty good at it. As a consequence, I believe that in 2010, more and more sales leaders will develop their coaching skills, and look for external mentors themselves, because it is highly likely that sales skills training budgets will never be the same again – ever. An item that appears as a cost on the balance sheet with no tangible return is now going to be subjected to the most rigorous scrutiny – shareholders will insist on that. What is the New Year is going to bring for our sales reps? I believe that top sales professionals will accept greater responsibility for their own development in 2010 – in fact the most successful already started doing this in 2009. Traditional generalized classroom training will be consigned to the annals of history as organizations look to adopt a more blended approach, which will include tailored in-house coaching, together with the more cost effective online training and mentoring. Whichever way you look at it, 2010 is still going to be tough for front-line sales professionals in most market sectors, but providing they remain focused, diligent and committed to their ongoing development, they will win through. Thank you Jonathan, and while I love the “If it’s to be, it’s up to me” motto – I’m still very hopeful that organizations will dig in and demonstrate that they value their sales team and invest in their development. Getting people together in person – especially sellers – has so many additional benefits than the training curriculum! What do the rest of you think? What do you predict is ‘up’ for sales professionals this year? More predictions by the ‘experts’ tomorrow.